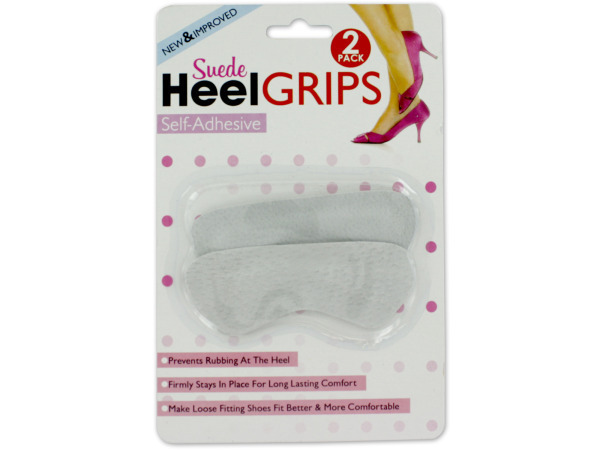 Help prevent rubbing at the heel and makes loose fitting shoes fit more comfortably with this convenient 2-piece Suede Heel Grips Set featuring self-adhesive pads that stay firmly in place for long lasting comfort. Grips measure approximately 4" x 1 1/2". Comes packaged in a blister pack.